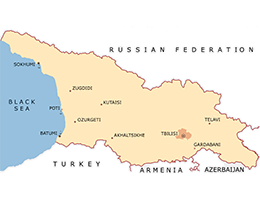 According to the amendments and additions introduced to the “Georgian Law on Electricity and Natural Gas” on July 12, 2010, starting from September 1, 2010, the Guaranteed Capacity shall serve to the stability, security and reliability of the country’s united electric energy system. Georgian Government determines the source of Guaranteed Capacity, as well as the minimum volume of Guaranteed Capacity to be provided by each source of Guaranteed Capacity. A power plant or the power plants, which meet the demands of technical parameters stipulated by the legislation, represent the source of Guaranteed Capacity. the sources of Guaranteed Capacity in the electric energy system of Georgia; the volume of minimum Guaranteed Capacity that should be provided by each source and the periods for providing the Guaranteed Capacity. According to the “Electricity (Capacity) Market Rules”, the JSC “Electricity System Commercial Operator” is the exclusive trader of Guaranteed Capacity. Based on the Market Operator’s proposal, the Georgian National Energy and Water Regulatory Commission approves the Standard Conditions of Direct Contract on Guaranteed Capacity Supply. The Electricity Market Operator registers with the Dispatch Licensee the Standard Conditions of the contract on sale of Guaranteed Capacity for the Guaranteed Capacity buyer Eligible Enterprises as well as Standard Conditions of the contract on purchase of Guaranteed Capacity for the sources of Guaranteed Capacity. Accession to the Standard Conditions is taking place in compliance with the active legislation. The Guaranteed Capacity buyer Eligible Enterprise (Distribution Licensee, Direct Customer and Exporter) is obliged to compensate the Electricity Market Operator the cost of Guaranteed Capacity (by each Source of Guaranteed Capacity), payable to the Guaranteed Capacity sources during the corresponding settlement period. The payment should be in proportion with the actual consumption of Guaranteed Capacity buyer enterprise in total consumption and export or in proportion with the export share.